Lara is an executive and life coach. She works with couples, teenagers, individuals and executives. Her executive clients span a broad range of industries including biotech, finance, government, technology and education. These men and women have started companies, are Vice Presidents at large software and hardware enterprises, run product lines, manage specialty services of large companies, and counsel employees and individuals. Many come to Lara to understand and fully engage their personal and leadership capacities so they can better direct, lead, counsel and teach the people managing their enterprises. Lara’s coaching philosophy is steeped in the Enneagram which she has been studying for over twenty years. She is a certified coach through the Deep Coaching Institute, an advanced coach training school. Lara uses the Enneagram to help clients recognize and bring forth their fullest potential and as a result they are able to do so for those around them. Lara comfortably weaves spiritual exploration into all of her coaching engagements. Lara is trained in Somatic Experiencing, an advanced method of healing trauma, and is completing her training in Hakomi, a mindfulness based form of psychotherapy. 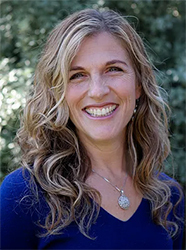 Her background includes an undergraduate degree in psychology; a teaching credential and several years as an elementary school teacher and raising two children. Lara teaches Enneagram workshops and runs on-going Enneagram groups both independently and through The Deep Living Institute. She recently teamed with DCI President, Ipek Serifsoy, to facilitate Women’s Leadership Circles (WLC’s) offered through Is Consulting. Lara’s approach to coaching is also influenced by her Buddhist practice, Diamond Heart teaching, and mindfulness training. Lara’s love for depth, connection and the truth has led her to become a Life Coach. She has found true joy in exploring with others the deepest questions we dare to ask, such as: What is my deepest truth in this moment? Who am I? What am I meant to be doing with my one precious life? Her hope is to inspire others to courageously live fully. Training in Sensory Experiencing- Healing Trauma – Israel: Center for healing of Body and Mind.